I rarely post entire films, but I’m presenting this one for not only the educational value of discussing it here but also because it is an important archival recording of a critical figure in the history of India’s classical dance traditions. which I completely agree with. Since it is these rare archives that I personally think not only enhances a Bharatanatyam dancer’s view point but also allows the current and future generations to get a glimpse and understand the turbulent (if I can say so) history of this dance form. Some interesting details from the blog are being quoted below. At 7:46 – Shri V. Raghavan speaking about Bala as well. The varnam is Bhairavi Varnam “Mohamaana” on Tyagaraja swami of Tiruvarur. Here is the Youtube link: Bala (1976) Satyajit Ray Documentary and the blog post that has more details. In the excellent article “Multiple Pleasures: Improvisation in Bharatanatyam,” Avanthi Meduri notes that “Balasaraswati was particularly celebrated for her rendition of the padam known as Krishna Ne Begane Baro” which means “Krishna, hurry into my embrace” and is improvised with a fresh interpretation each time the phrase is repeated. Meduri then discusses the padam’s film version in Ray’s documentary and takes issue with Ray’s placement of the dance performance with a live ocean backdrop. She asks, “Did the director situate Bala against this backdrop as a way to naturalize and essentialize the dance, to evoke notions of cosmic plenitude, timelessness, and infinitude? Or did he desire merely to spiritualize and idealize both the dancer and the dance?” She feels that, regardless of Ray’s good intentions, the performance falls flat because Bala is “separated from immediate engagement with her musical ensemble, which had always supported and accompanied her live performances. And two recent documentaries available in Youtube. I thoroughly enjoyed watching this documentary. I hope you enjoy it too!!! If you did, do post your comments. My two cents: When did Hamsasya hasta become Mayura hasta? or did I miss something here? (See second comment below!!!) Although, I am grateful to Shri. 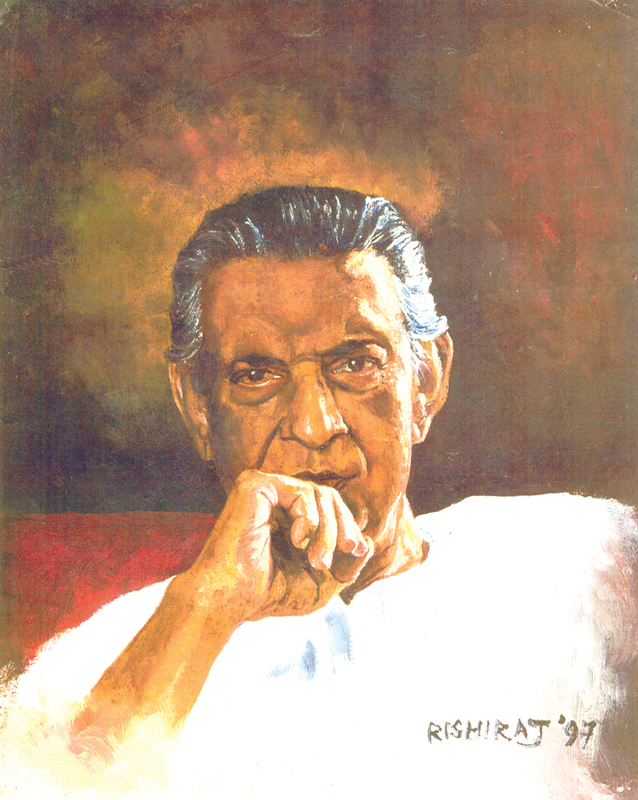 Satyajit Ray for the awesome documentary, my final thoughts are in line with questions raised by Dr. Avanthi Meduri!!! In any case, I am thankful for the documentary. On second thoughts, I wish the documentary had her talking about her Manodharmam while performing. Alas, none of it…Hmmm. In the book “Bharatanatyam” (published 1959) authored by T. Balasaraswati and V. Raghavan there are drawings of single hand gestures, where Mayuram is shown as what we know. However, Hamsasyam and Samdhansham are different. Samdhansham is made by touching the thumb and fore finger and extending the rest (as seen in the video). So, the question comes, what about Katakamukham itself? It is shown as seen in the second video (0:47). I looked up Appa Rao’s book on Abhinaya Darpanam to dig deeper. meaning ‘When the tips of the forefinger, the middle finger and the thumb are joined and the rest are extended, it becomes Hamsasya hasta’. meaning ‘if the middle finger of hamsasya hasta is outstretched, it becomes Samdamsa hasta’. Ok. so what is the final point? 2. The narrator in the Satyajit Ray’s documentary has mistook samdhansham (not Hamsasyam) as Mayuram. I thought we had enough variation in the nomenclature of adavus.. Hastas were something I had taken to believe that experts agreed on…with atleast with the gestures as such, even if not totally with the viniyogas.. Now here you show us that consensus wasnt the norm in this area too! prof premraj pushpakaran writes — 2018 marks the 100th birth year of Tanjore Balasaraswati!